I absolutely love my i candy pram. My husband really wasbt bothered what pram we got but when it come to picking he loved this. He loved the quality of it. After trying a few prams this eas by far the easiest to put up and down and also sturdiest when on uneven ground and bumping up kerbs etc. Alot of people have also commened on how they love it! 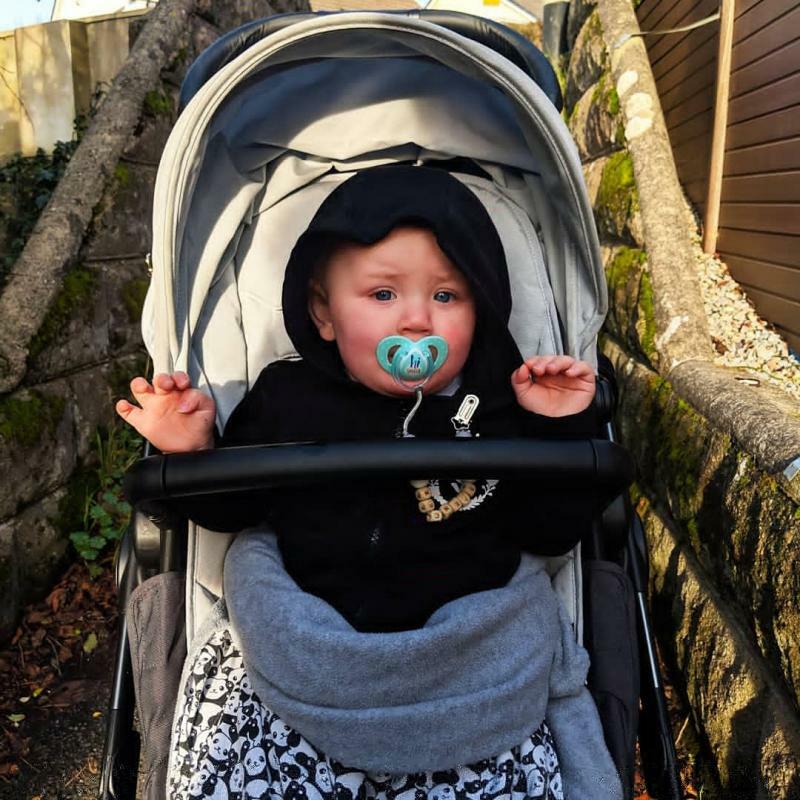 Another great feature is that i plan a second child in near future and this pram comes so you can actually have it as a double pram for a baby and a todler! Its absolutely brilliant! I do love this pram and given the choice I don’t think I would swap it for any other pram as it is just so practical. My main love is the super large basket, you always have access to it no matter what position the seat is in and you can fit so much in it. I find it easier sometimes to walk to my local supermarket and do my food shop and have no issues transporting it all home with this basket. It is sturdy but easy and lightweight to move. 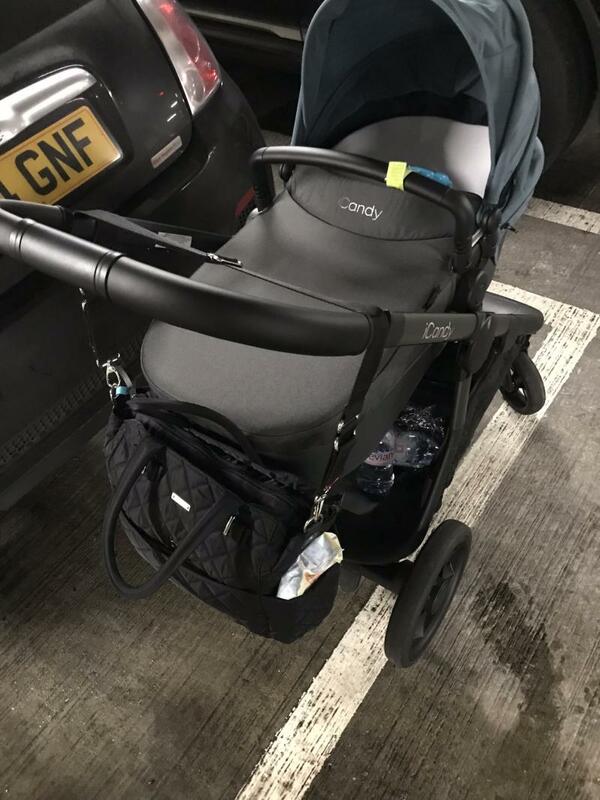 Attaching and removing the carrycot/seats is so easy and quick and the wheels come off at the push of a button if you ever needed to get it to fit in a small space. The only issue I have had is that on the odd occasion in very cold or wet weather I have heard a slight squeak not sure where from but it eventually goes and this has only happened a handful of times. It would have been nice to have an adjustable calf/leg support like the peach and slightly nicer fabrics but again I still wouldn’t swap this pram for another. It will become even more useful and practical with a second child with the ability to make it in to a double and the amazing amount of different configurations along with the built in ride on board. I’m sure this pram is going to last me for a long time to come. I would definitely recommend this pram. I have 2 year old son with autism who likes to world face and a newborn who I would like to face me in carrycot. The I candy orange allows this to be accessible. Also the car seat adapters are great for just popping into the shop and the built in buggy board is great when my toddler wants to stand up. I find this buggy easy to steer and light to push for a double. It fits in most larger boots as carrycot is large but lasts for babies. Wheels sound cheap when pushing over bumps etc. I have absolutely loved using this and I'm so happy I brought it. The basket is so big and I am still able to access it even whilst in the double mode, unlike a lot I had previously looked at getting. 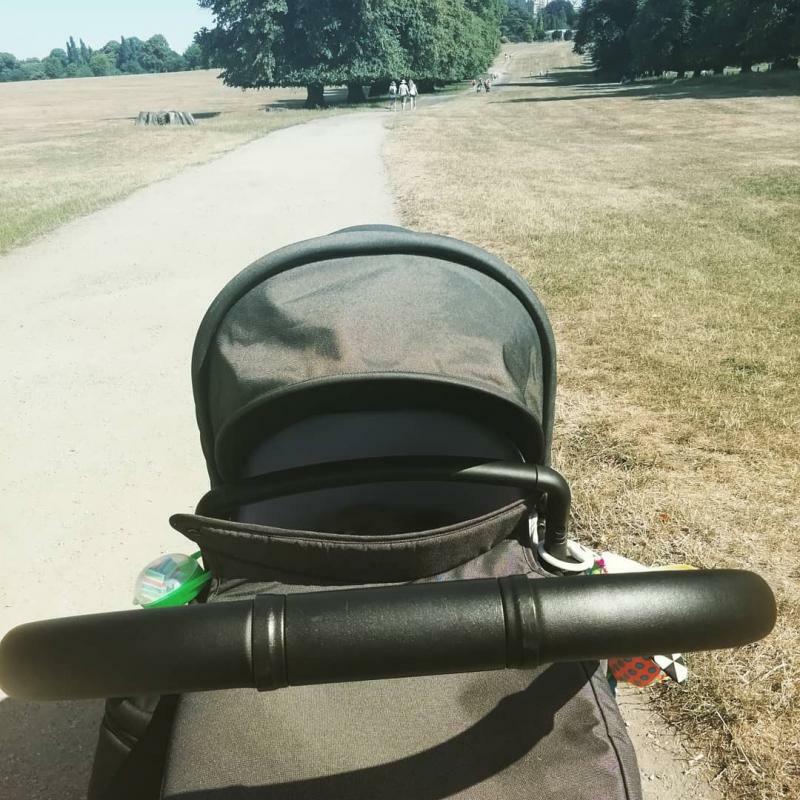 I love that there are a huge variety of positions you cam put the seats in, when my toddler is tired I can put her seat at the bottom and the carrycot on top which is great to get her to sleep whilst out as if she is on top she is too interested in looking at what is going on around. 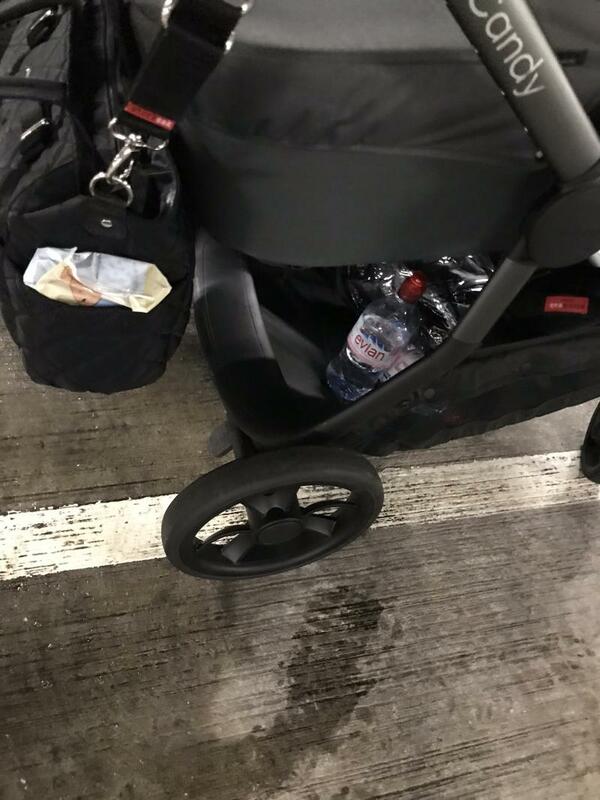 The pram has a buggy board attached to it which is usable whilst the carrycot has the adapters on it. I love that I don't have to buy anything else for this pram as it's all included already. The frame is really nice and solid, scratches and marks aren't easily noticeable. The fabric is really nice too. The only bad thing about this pram is the wheels. 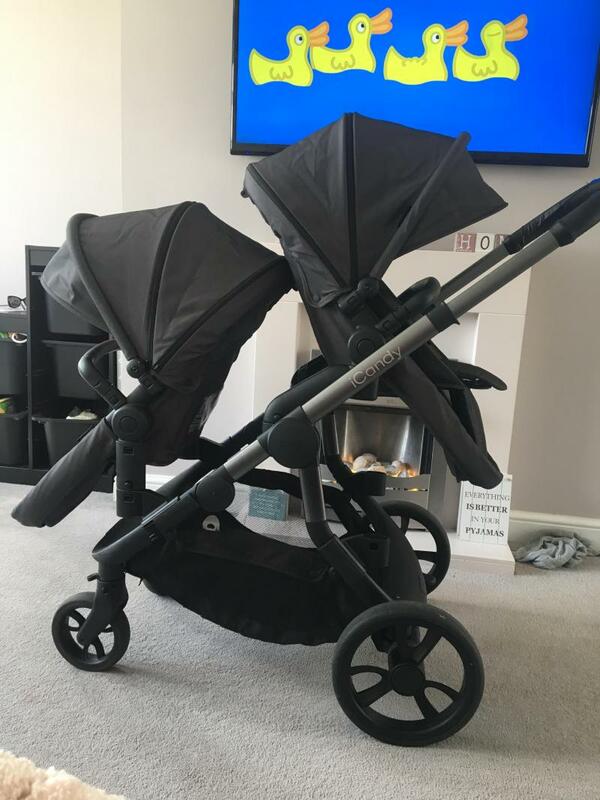 They seem so solid and when I push the pram over even the slightest of bumps it makes so much noise and in my opinion makes the pram sound cheap, which is a shame considering the price I did pay! You can seat two little ones and still have good use of the basket underneath which is unusual. The wheels rattle and the seat is very shallow so a toddler looks perched. 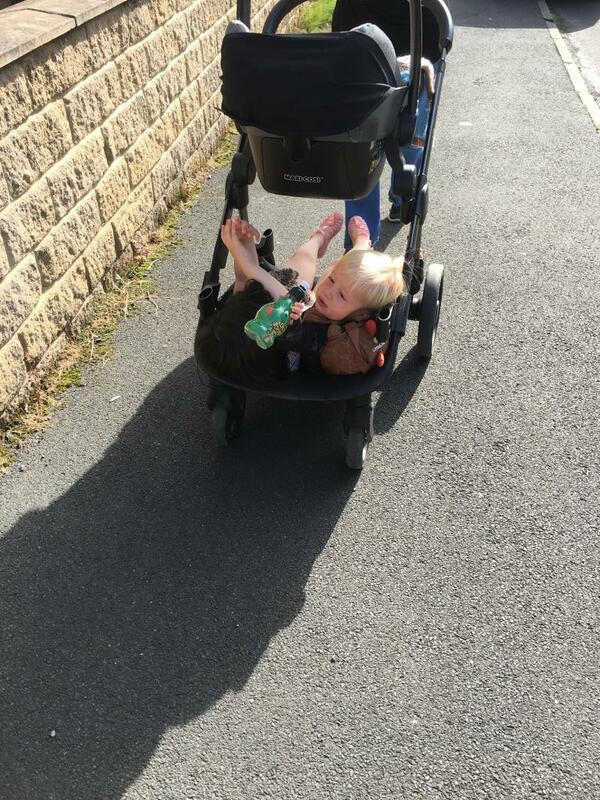 We swapped our single buggy for this one when we were expecting our second child and our first still needs a buggy fairly often. We looked at all the options for stacking buggies and felt this one offered lots of flexibility with the multiple configurations and built in buggy board; the basket is also enormous and you can still use it when the bassinet is in place. We have had our original one replaced as the wheels were so rattley but the second one is the same which slightly makes me doubt build quality but that’s our only criticism of that nature. The other downside is that the seats are very shallow so our tall 21 month old is a bit perched in it - she is very happy in there though. We don’t use the seat liner for her as it doesn’t leave her enough space. I think the seat has been updated since we bought ours so it may be better now. The rain cover is also very awkward to get on. This buggy is really really easy to fold which is great. Overall I would recommend it as a good solution to needing a stacking buggy but there are better ones out there if you just need a single. 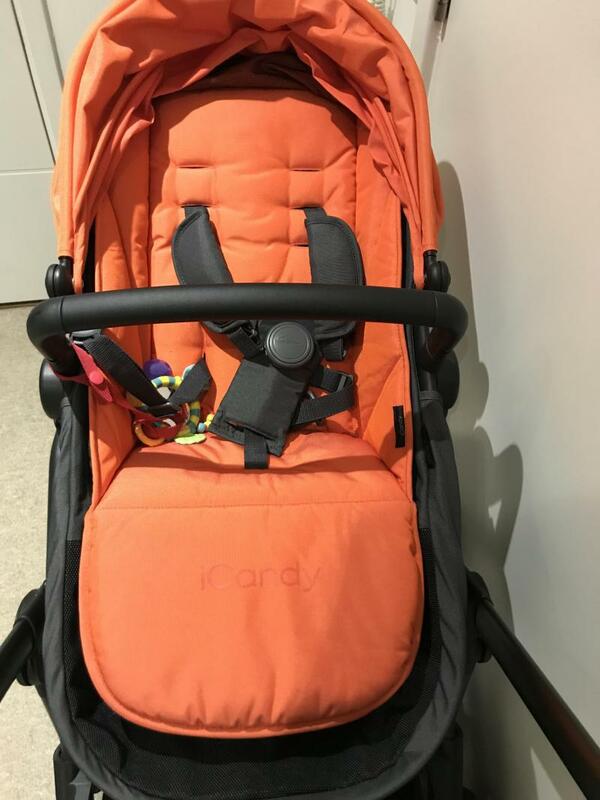 We purchased the iCandy Orange in November 2017 for our son (born December 2017). This pram is so easy to push and navigate! My 4 year old loved that she could use the integrated buggy board and it made walking around so much easier! The basket is such an amazing size it's perfect for a mum of three on the go especially when it comes to shopping, going to the beach etc. Overall we love this product and highly recommend! 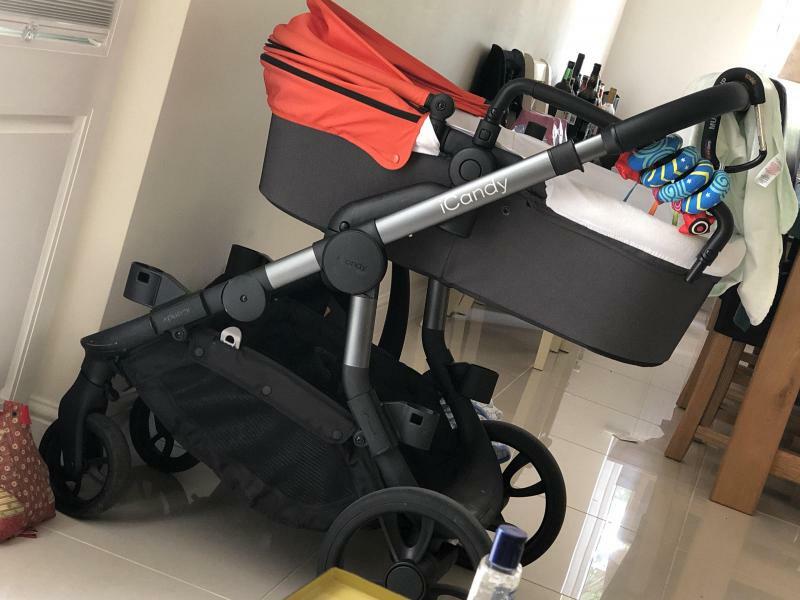 I’ve been using this icandy pushchair since December 2017. I love it, it’s very easy to use, setting it up is so easy and stress-free. When I first got it I only had a small car but luckily you can remove the wheels very easily to fit into small cars/spaces. The basket underneath it very big and so useful when shopping. 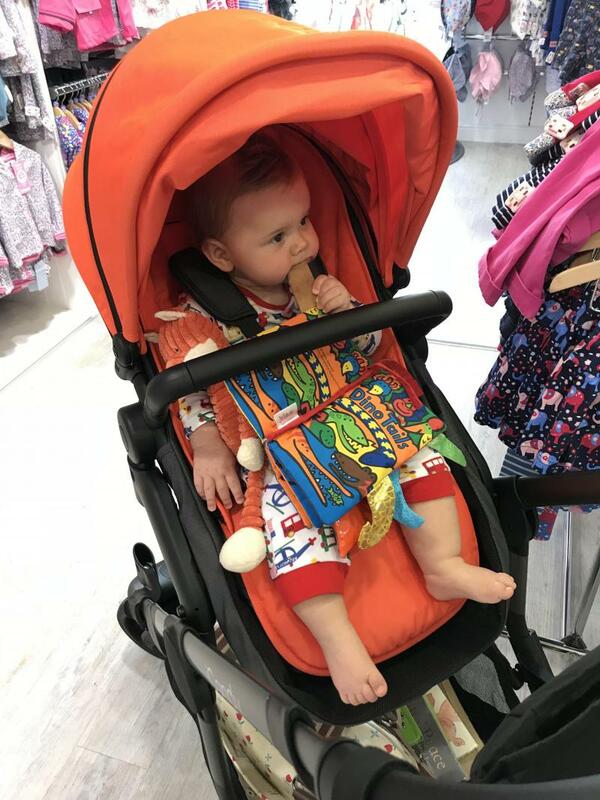 My child seems to be very comfortable in it and we even use it to feed him when out and about if a high chair isn’t available. I am highly satisfied with the product. The only problem might be the price, but it’s worth the money in my eyes. I absolutely love my I candy orange. I have a 1 year old and 16 week old and it is perfect. There are so many configurations to put the pram in and it doesn’t feel like the little one is sat in the basket like on some prams. The basket is large a fits everything in with ease. It also doubles up and my 1 year old likes to sit in it for short trips. It’s really simple to put up and take down and actually took up les room in my car boot than my single silver cross pioneer pram did. Th inbuilt buggy board step is also a great addition . The pram can be used for two children, of the same or different ages. This is a lovely, good quality pushchair and is ideal for twins or two children of different ages. 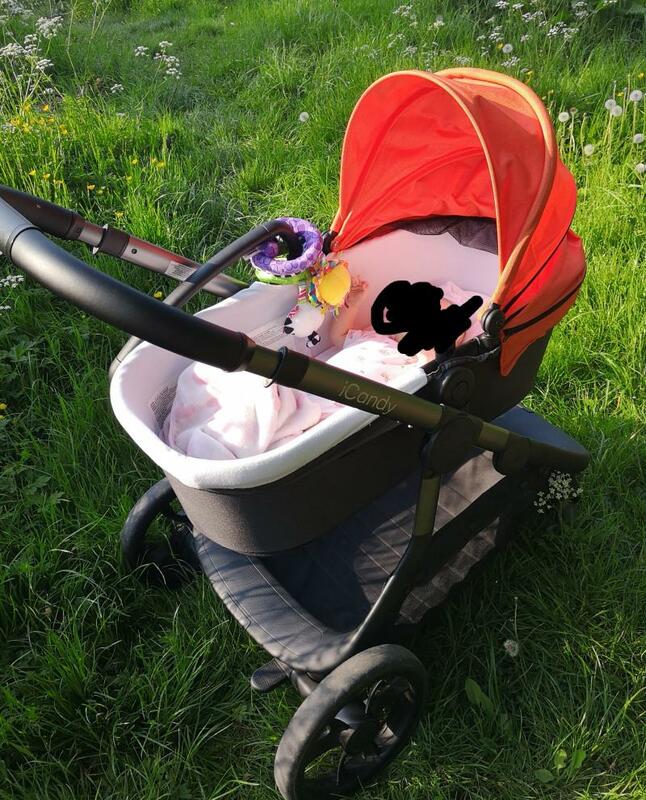 One of my twins required the carry cot for a little longer, this wasn’t an issue as it could be easily placed on, in addition to the pushchair seat. The pushchair seats are large, and the basket underneath is is a really good size. It’s an attractive, sturdy and durable pushchair that can be easily put up and taken down. 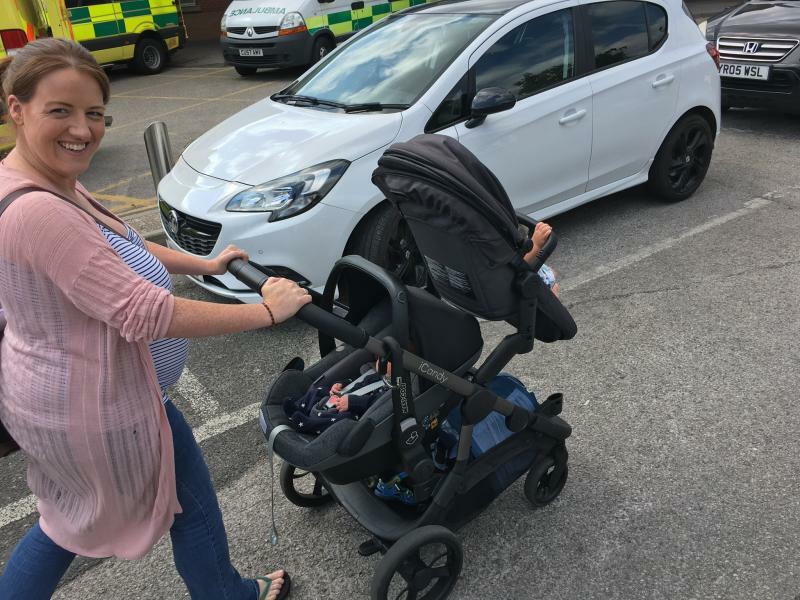 When out and about this pushchair has been much easier than a side by side pram, and I would definitely recommend this for twins. This product only has a few negatives. It’s quite a large pushchair, I have to take a wheel off to fit it in the boot of the car. It is also quite expensive, especially when buying the twin package. I love my icandy orange. It is 100% worth the money. It is built well, built to last. I have it in the colour “carbon” which is a lovely dusky grey colour. The build in buggy board is such a handy extra for mummy’s with older children, like myself. The seat can be reclined for sleeping position. Large under basket for storage which is good. The handle has several adjustment for ease of parents. The hood has several setting for coverage of baby. Very Versatile. Suitable for Twins. Suitable for two babies of different ages. Built in buggy board. Not the easiest to maneuvre. Large turning circle. This was my second pushchair that I purchased for my twins. 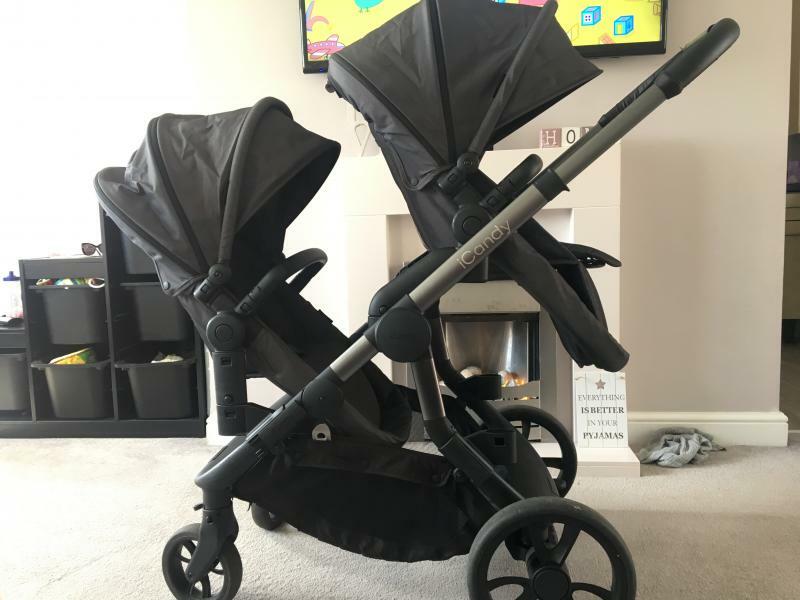 I had a side by side double to start with and struggled getting in places - with being the same width as a single, I do not have this issue with the iCandy and can easily fit anywhere. I love the fact that it’s compatible with the maxi cosi car seats. Making school runs/in and out the car a doddle. The leather handle bar is super stylish and the frame is lovely. 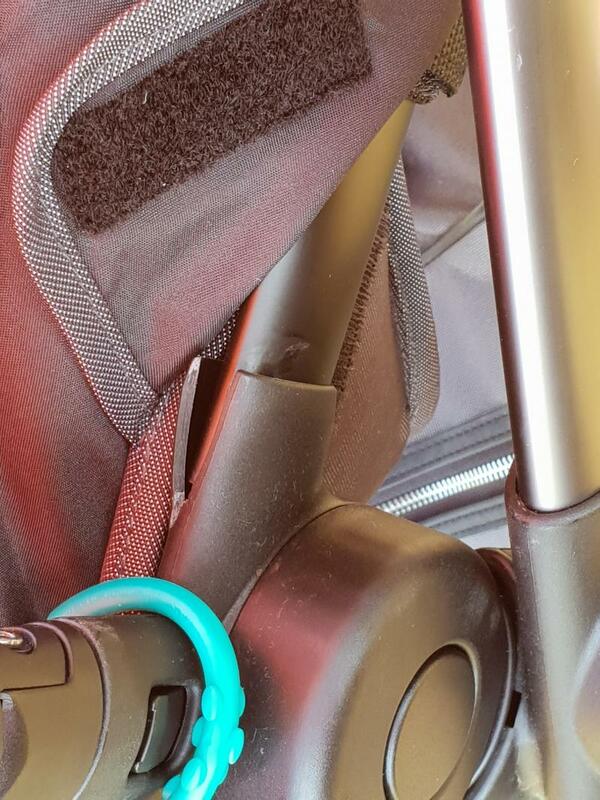 The frame does scratch easily but this is an issue with all pushchair frames unfortunately. I love the fact that both twins can see due to the cinema style seating. No one is facing the back of a seat. The basket is still fully accessible even in double mode which is a BIG plus for tandem style pushchairs. I am 5’10 and the handle bar is a perfect height for me when adjusted to the highest setting. It’s also perfect for my 6ft1 dad and my 5ft sister in law thanks to the level of adjustment. It is lovely to push and can be pushed one handed easily. The only negatives for me are the fact that the seats can only recline in certain configurations. For young babies this isn’t ideal but you have the carry cot option. The only other niggling issue is that purchasing the accessories when you’ve got twins can add up - however this is to be expected with a top of the range pushchair. None at all it is a fantastic buy! 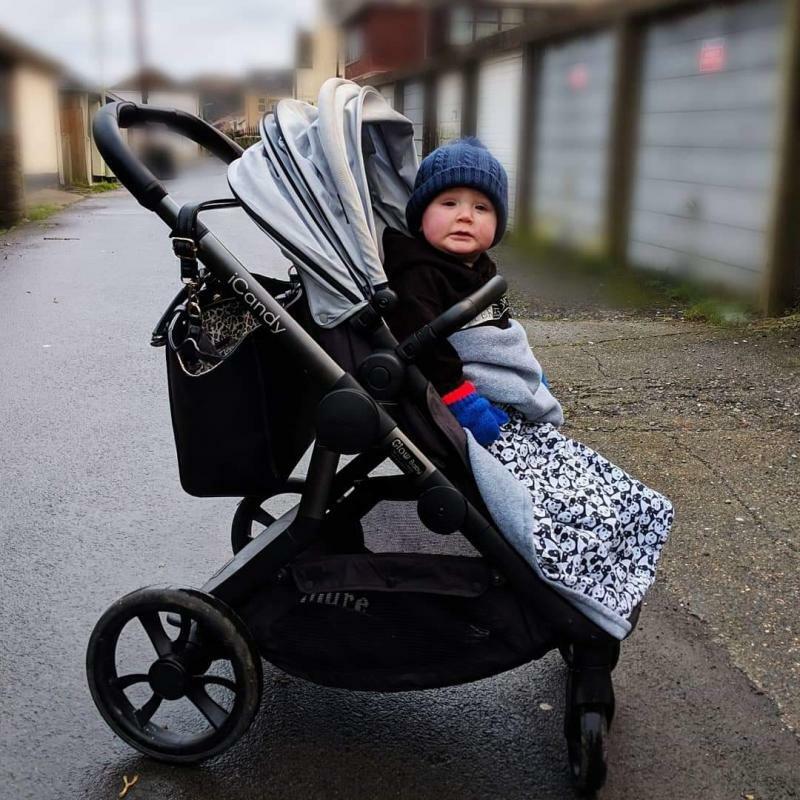 Very easy to steer, smooth ride and very comfortable the I candy pram also folds up beet easily and folds up small also with a strap to make it easy to carry it is easy to put up and built to last! Light weight and easy to push. Nice amount of space when in twin for both children. I got this pushchair when I had 2 under 2. It's great, so easy to push and get around in the shops. 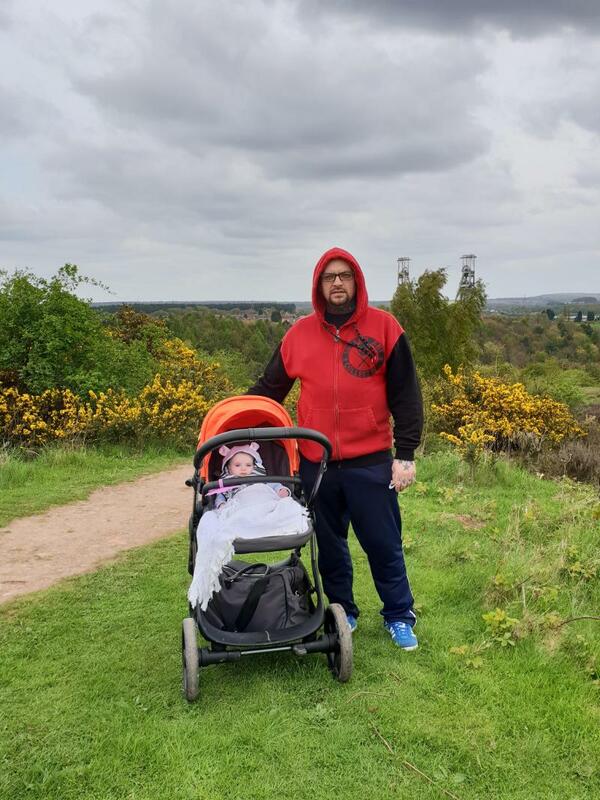 The carrycot part of this system is a fantastic size, there is plenty on room for my little girl and she looks so comfortable whenever she is in the carrycot.. It worked out to be more spacious than the moses basket! My little boy likes sitting in the seat part of the orange system and again looks very comfortable. It also has a great recline for when he's fallen asleep. 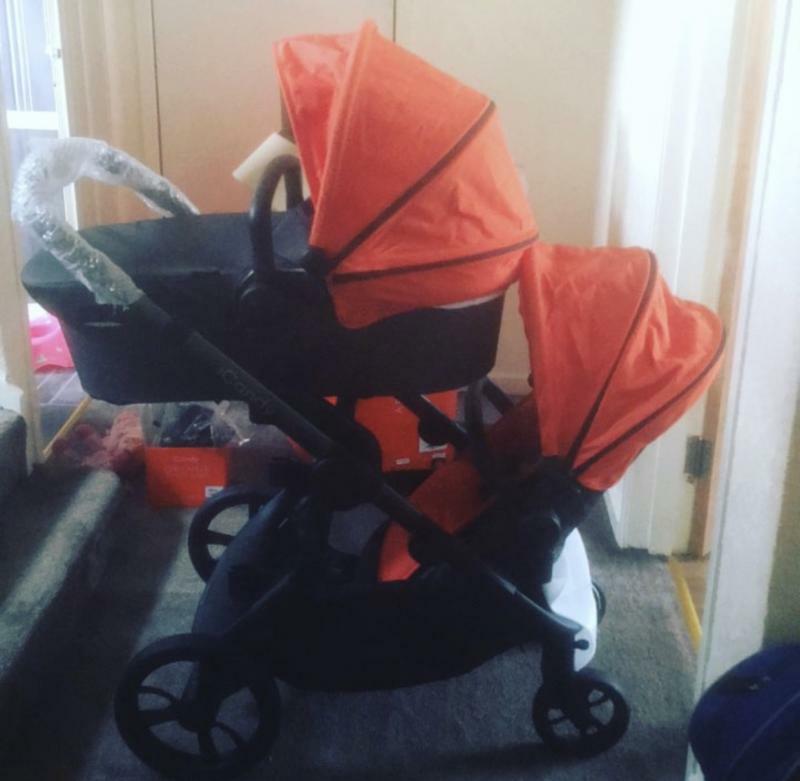 We bought the iCandy Orange due to the fact we were having another baby, and we needed a travel system that could accommodate two under 18 months. I have to say it’s worth it’s weight in gold! It’s easy to collapse and put together, and having numerous ways of having the seats for the little ones is great. I also love the fact the seats can be raised up with extenders, so that they are more at eye level. The basket underneath is large enough for a change bag and plenty of shopping too. Overall a great product and would recommend! Fantastic product! Easy to steer, easy to fold, looks great and modern. Large basket underneath. Durable. No serious disadvantages noticed. I would buy again. Worth its price! The iCandy Orange is beautiful to look at and built really sturdily. I've been using the iCandy Orange for the three months since my little boy was born. In that time I've taken it shopping in a busy city centre, for several road trips, to country parks and around a new nature reserves too! 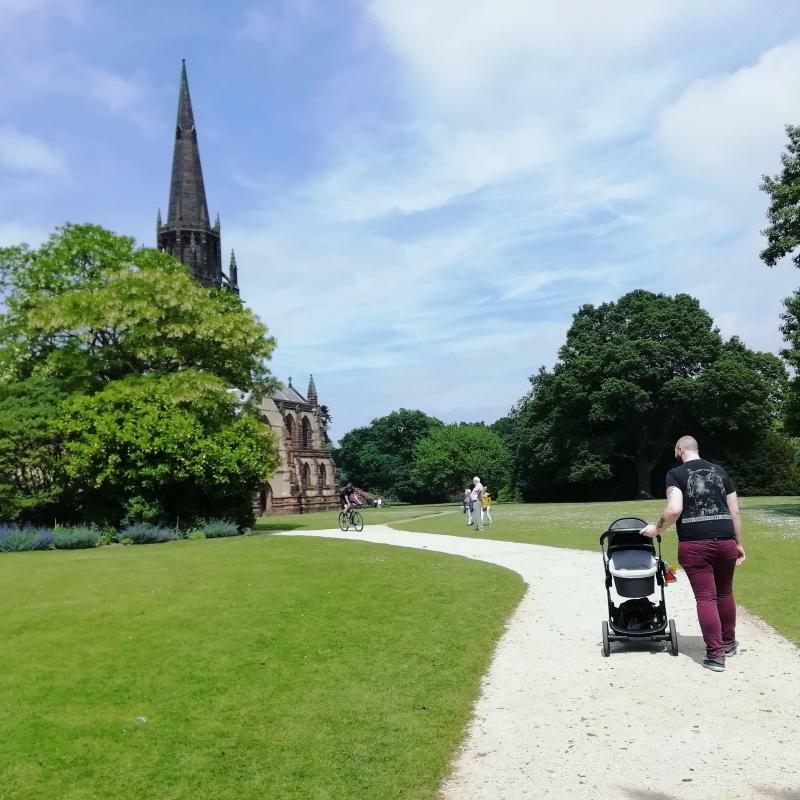 The Orange might not be marketed as an all terrain pushchair but we've found that it works beautifully no matter where we take it. It's also been through a lot of my husbands rough handling and despite a few scratches, is still looking great after daily use. The Orange is stylish in a timeless way but I wish it had some of the same colour options as other pushchairs in the range as I found the colour choices of the Orange slightly limited. It isn't too wide or bulky to fit on the bus or tram, which I was concerned about before trying, and it easily fits in the boot of our car. Attaching and unattaching the carrycot is simple and can easily be done by one person. I've found it harder to get the carseat unattached from the extenders but this could be due to the carseat. The Orange doesn't have one hand folding but the mechanism to fold is really simple. I've found it harder to unclip and it can be a bit fiddly at the start. I find that sometimes the sunshade doesn't fully cover my little one's face or shield him from the sun so have had to buy an extra product for this, despite being reassured in store that the shade would be fine. Worth considering in summer. The biggest problem is the brakes so far, when unlocking they have begun to get stiff and can sometimes need a bit of wheel jiggling before you can get going. 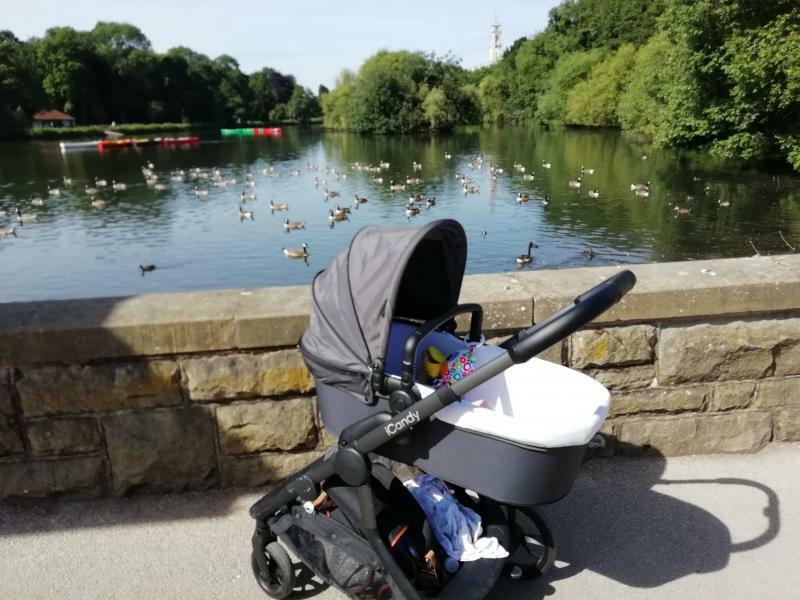 All in all a stylish and sturdy travel system for use with the carrycot, have yet to use with the other seat or two babies but will update later! I fell in love for the first time before I knew I was pregnant because it was the only Orange and black product on market. Since owning one I am still in love despite a few flaws. When folding or unfolding if do it on the ground it stuffs and scratches all the frame. Was gutted when found first marks. Also on the pushchair frame the plastic joins that connect the frame together as well as use to connect to the main frame have cracked. And concerns me how it happened when only just using this part, my baby could trap her fingers in the crack and the only alternative it to buy the seat frame new at £80 when it is clear that the actual plastic joins would be easy to replace. I think the only other bad thing I can say is the Orange sections of material mark easily if rubbed against things and not as easy to clean for example the canopy. Oh and finally due to the shape with the bigger wheels (handle end) being wider apart it doesn't fit in every entrance way. The good things, wheels remove so when I been anywhere muddy or stables I can remove wheels not only to protect car n carpets but also for easy cleaning. It is versatile and the steering ability is great as you can swivel the front wheels or lock them in place. It is also multi purpose. 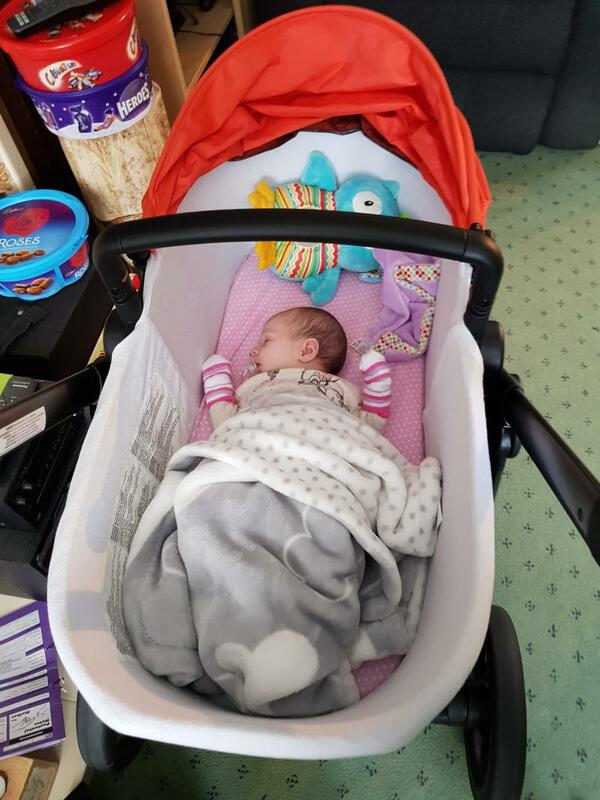 Not the obvious things like pram and pushchair use solo or together or the car seat adapters but the fact that I could remove the pram bassinet and place it on the Moses basket stand and use it as a crib which saved money and sleep as my baby settled amazingly in it until she was too big. Overall despite the negatives I would recommend this item but also make people aware of the good and bad. Overall I love this pushchair. I’ve had the peach but the second seat is smaller whereas with this one the seats are both the same size which is great. It’s bigger overall which suits me as I plan to use as a double in the new year. 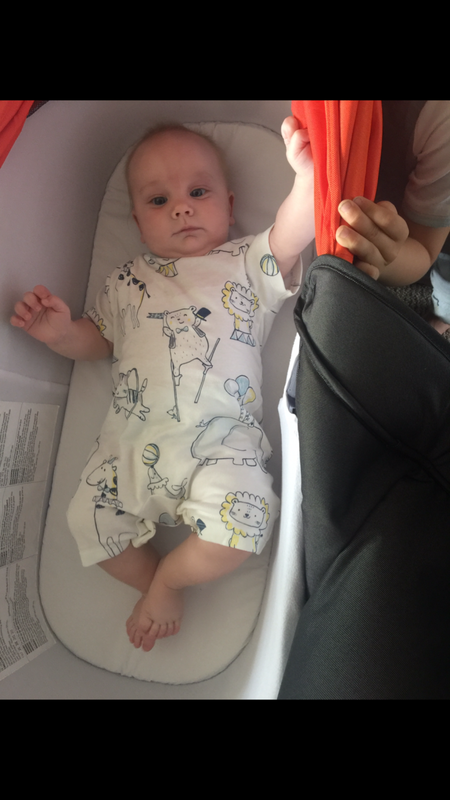 It’s recommended that a baby stays in a carrycot until 6 months however on the peach my son grew out of it at 10 weeks whereas this one he can still use at 5 months. Huge shopping basket and built in buggy board is also a plus. The folding carrycot is also a huge plus for us for storage reasons when they’re no longer in use. The extending hood is perfect for sunny days as well as the option for unzipping the hood to allow air the flow through which is a brilliant feature. The list goes on! They’re are a couple of downsides, one of which is the frame. As a single it seems ok but as a double it seems very rickety but only time will tell if it will become a problem. The rain cover seems to mist up a lot and is also very tight. I bought this travel system for my second child and would definitely highly recommend Icandy. It’s so easy to move around and feels really sturdy. It comes in lots of different colours too. I love my orange pram its lovely to push and has a big basket which is great when going to the shops. It converts to a double pram but I am yet to test this out. It's easy to push and the height which the handle goes to makes this much easier too. I would prefer there was not plastic round the front as this seems to scratch very easily but other frame work is very clean looking and looks nice. Should sell product as full as you do need to purchase things separately such as cost toes. Love leatherette handle which makes it nice to push too. I have recently purchased this pushchair as we want to have another baby quite soon after our first. 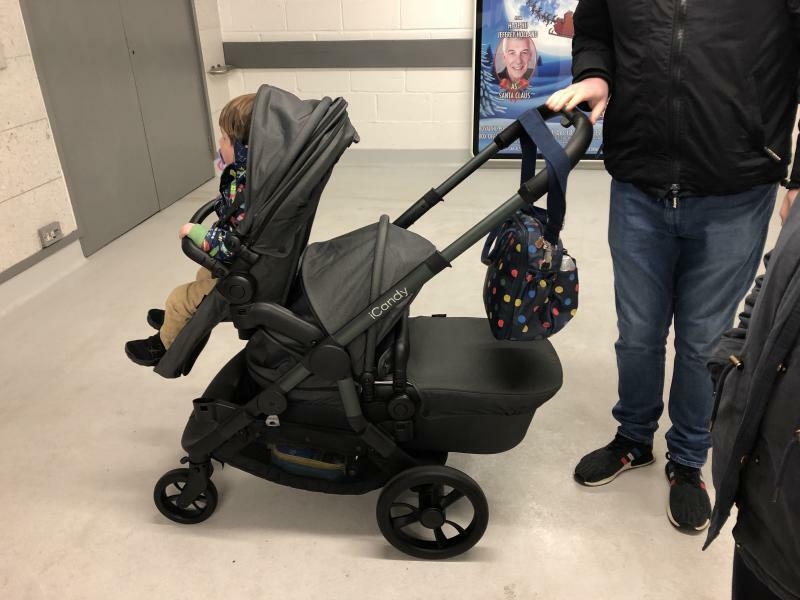 I absolutely love this pushchair it is excels value for money as you now get the carrycot, Seat unit, elevators and the car seat adapters as a package. 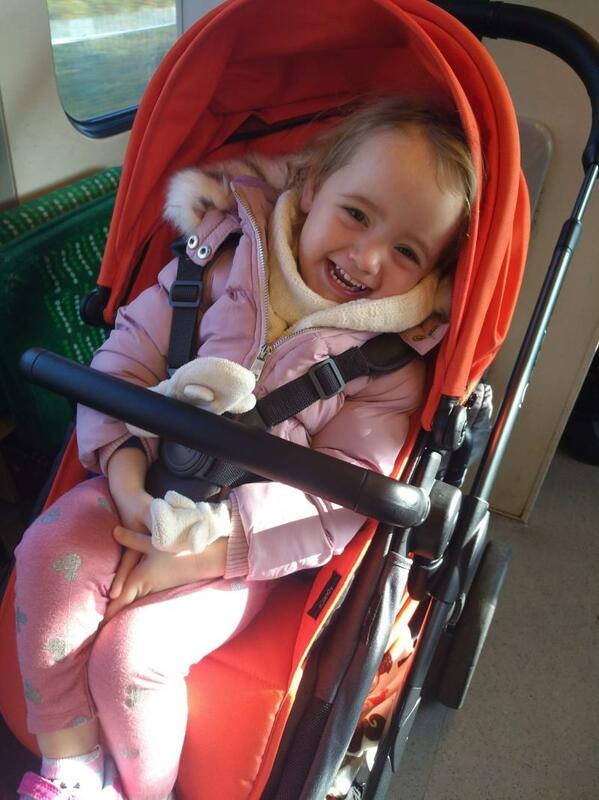 This proves iCandy listen to heir customers feedback and the design is fantastic with a built in ride on board a slightly older child can ride of the back without the need to buy a separate buggy board that may damage the pushchair. To use it for two children you need to additional converter kit but this is not that expensive and easily available. With the Orange you get a really flexible pushchair with many different seating options and heights thanks to the elevators and converter kit. There really are 30 different options I just had to check this myself. The carrycot and seat fabrics are easy to attach the the frame, comes with good clear instructions. This pushchair has a longer wheelbase than the peach which I also have but the basket is huge. You can got lots of shopping in with ease and still get your change bag in the basket. The pushchair is easy to steer and get up and down kerbs no fuss. I really like the new bumper bar which is gate fold and so much easier when trying to get baby in an out of the seat. The recline on this pushchair has three positions and it st the top of the seat, really easy to use. The hood has an extendable panel to give extra shade it comes right down to the bumper bar, additionally there is a ventilation panel great for the hot weather to keep baby comfortable. These new features are excellent and show an improvement in design. The pushchair comes with two hoods and two bumper bars so no need to purchase additional ones. 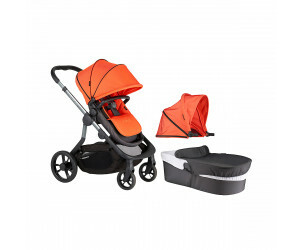 The iCandy Orange Travel System is ideal for parents on the go. Featuring a lightweight chassis and large lie-flat carrycot, this is the perfect travel solution suitable from birth. Can be converted into a high chair when in world facing mode. or in parent facing mode the elevators raise baby up closer to you. It easily converts to double mode, and both children can face the parent. Folds into a freestanding unit with the seat still attached. Suitable from birth to 25 Kgs in single mode. 15 Kgs per seat in double.